GOKPOP | Exclusive K-News in Malaysia & Singapore: Hyperplay is Now a Complimentary-Ticketed Event For All! 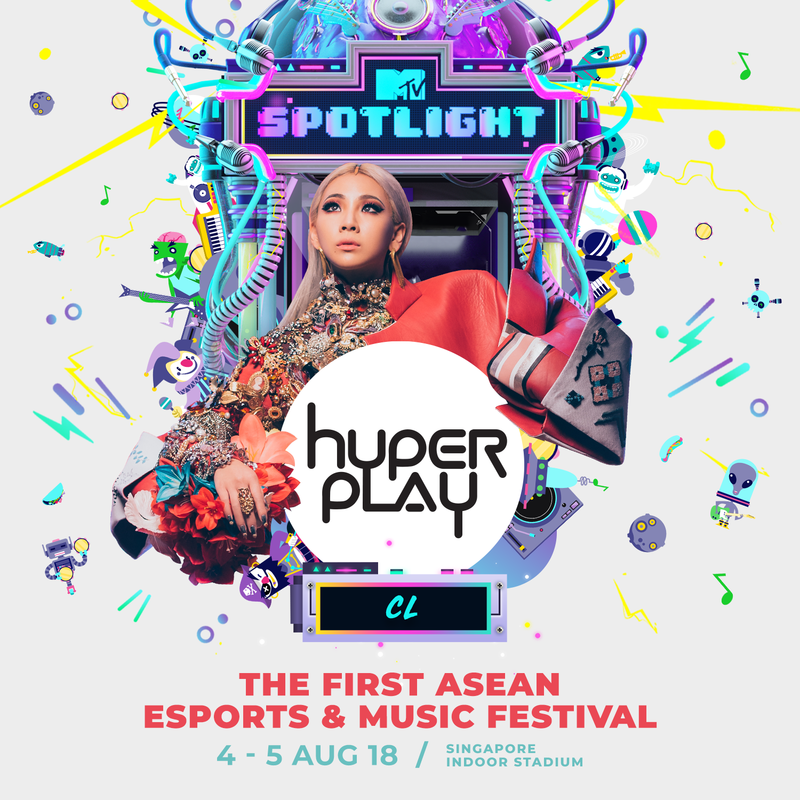 You can watch CL LIVE performances for FREE! Hyperplay is Now a Complimentary-Ticketed Event For All! You can watch CL LIVE performances for FREE! 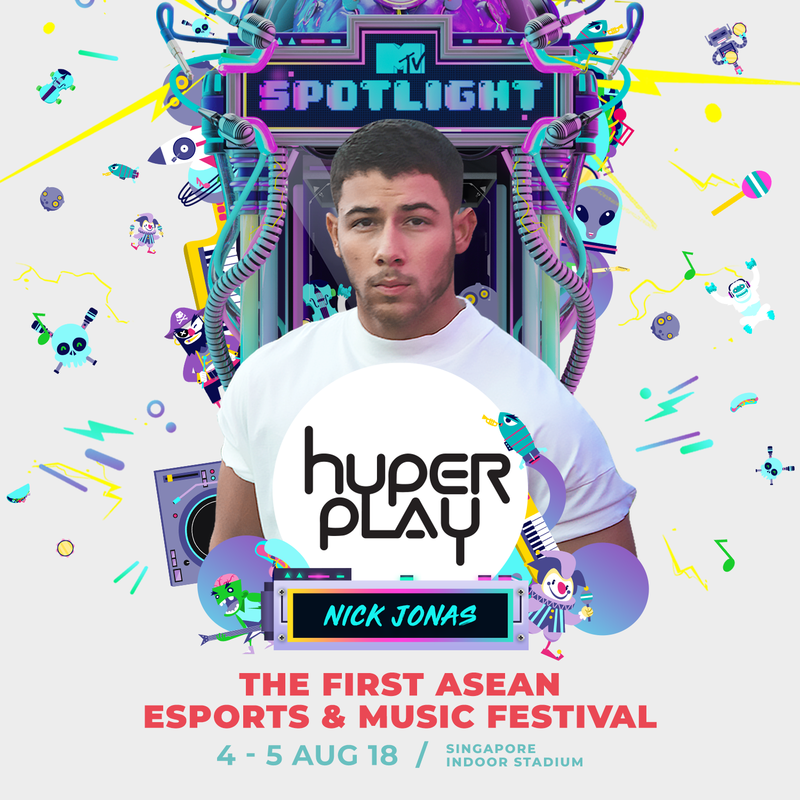 Get ready, Singapore! Riot Games, the video game publisher behind ever popular online game League of Legends, has just turned the lens on players and fans with an unprecedented fan offering! 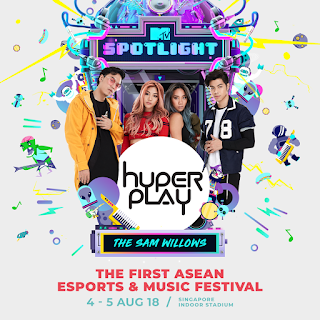 Riot Games has announced Hyperplay, the first integrated ASEAN eSports and music festival is now a complimentary-ticketed event for all to attend at the Singapore Indoor Stadium on Saturday, 4 August 2018 and Sunday, 5 August 2018. Hyperplay is one of the three festivals happening as part of YOUTHx, a larger celebration of youth aspirations which aims to bring youths from all walks of life together. The diverse line-up of events, which include SHINE Festival and GetActive!SG, is initiated by the Ministry of Culture, Community and Youth (MCCY) and the National Youth Council (NYC). 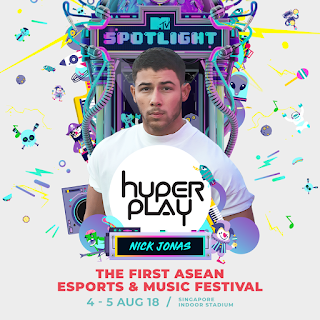 Through two of today’s biggest cultural cornerstones of this generation – eSports and music, youths from all across Singapore and ASEAN can expect to come together for a weekend of hype and thrills, while embodying the youthful spirit of passion, dynamism and the freedom to dream big! On top of that, youths can get to immerse themselves in activities ranging from dance performances to fitness at SHINE Festival and GetActive!SG, the other two festivals under the YOUTHx umbrella. 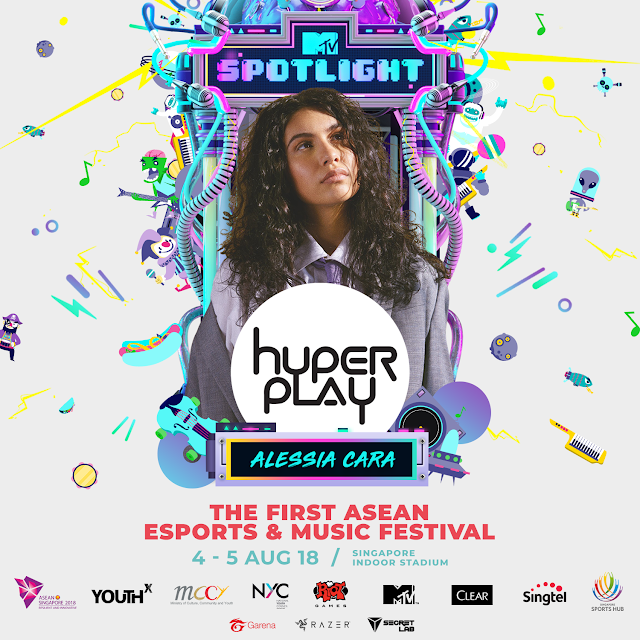 “With Singapore as the ASEAN Chair this year, Singaporean youth are extremely happy and proud to host other ASEAN youth at the YOUTHX Festival weekend, all co-located at the Singapore Sports Hub. Access is complimentary for all, so that our Singaporean and ASEAN youth can participate together to celebrate their aspirations and strengthen the ASEAN identity,” said David Chua, Chief Executive of National Youth Council. 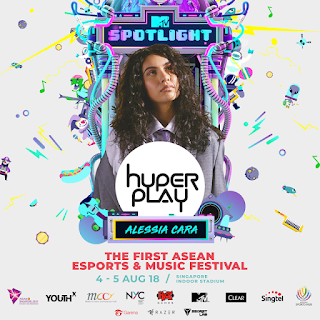 “In the lead-up to Hyperplay, we recognize this is a first of its kind event. We now want to make this an inclusive event to give players and fans from all walks of life a chance to catch all the esports action and music entertainment. 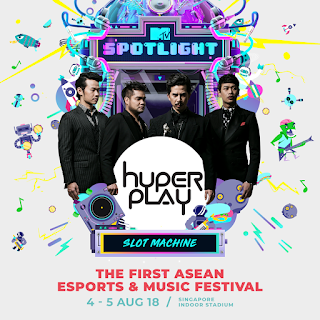 More importantly, while complementing the other components of YOUTHx, we hope to encourage youths to bring along their friends with various interests to come experience and discover what Hyperplay has to offer for everyone,” shared Chris Tran, Regional Manager of Riot Games for Southeast Asia. Players and fans can now get their free Hyperplay tickets when they visit APACTix.com to secure General Admission tickets. 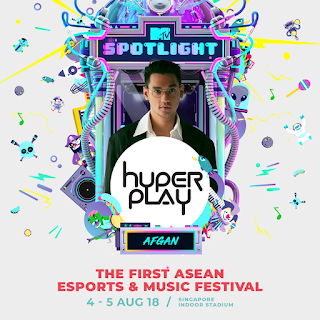 For fans who have already purchased tickets to Hyperplay; not only will they receive full refunds for their purchase, they will also be rewarded for their early support of ASEAN’s first eSports and music festival, with an upgrade to a seat in the CAT 1 section. All existing ticket holders will be notified about the new arrangements. 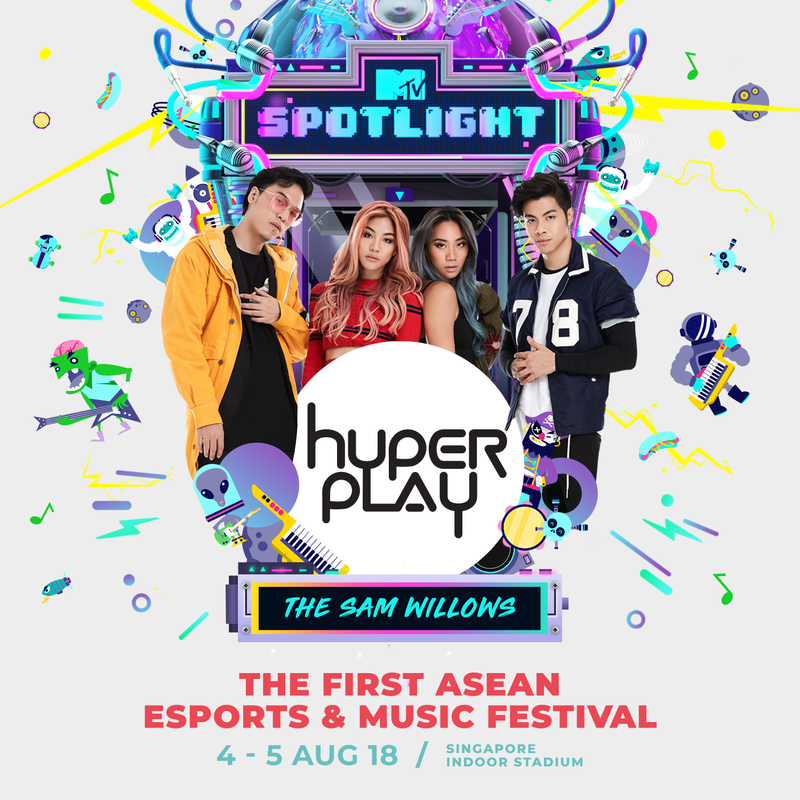 Hyperplay will begin on 4 August with the first League of Legends Semi-finals followed by Singapore’s favourite The Sam Willows, the 1st act who will take the MTV Spotlight stage with their half-time set. This will be followed by the second Semi-finals and then by South Korea’s superstar vocalist and rapper CL, to round up Day 1 with a bang. 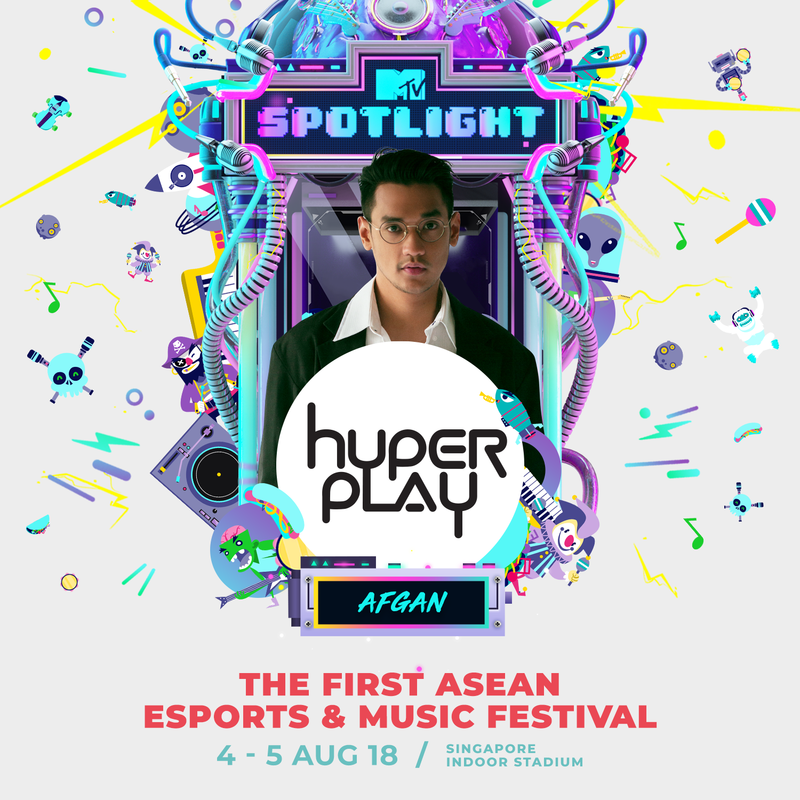 Stay tuned for 5 August, as performances on the MTV Spotlight stage by Indonesian idol Afgan and Thailand’s leading rock band Slot Machine will continue the music high, to set the mood for the Finals and the eventual League of Legends ASEAN Champion. 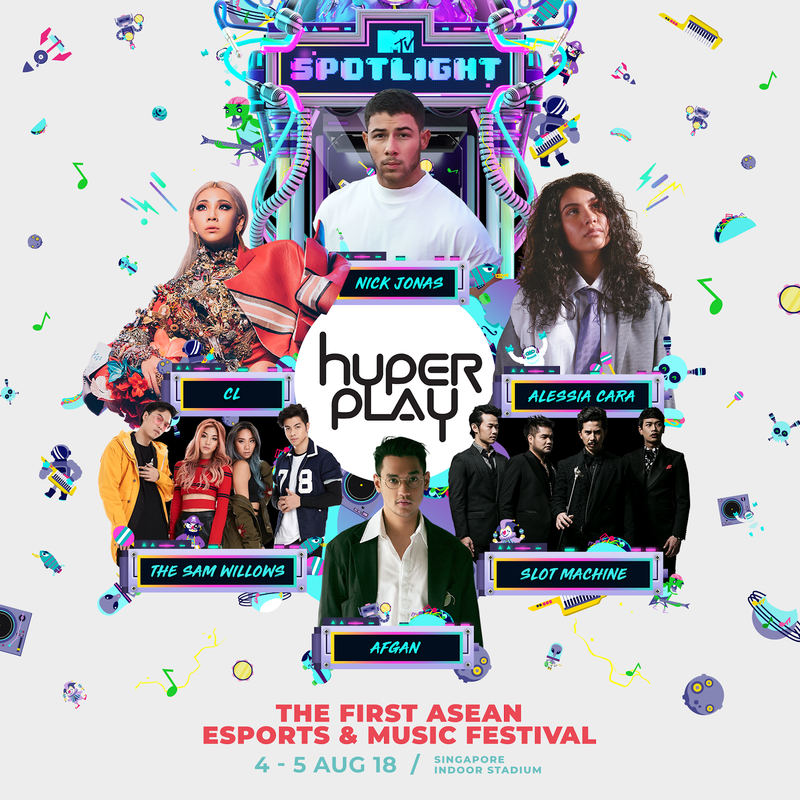 As a festival finale, celebrate with Nick Jonas and Alessia Cara at the first ever integrated eSports and music event in the region.